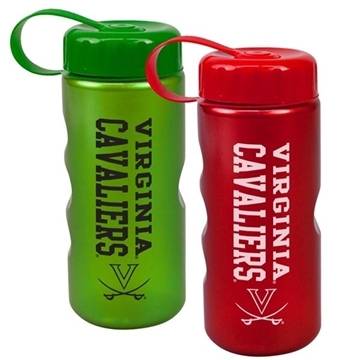 22 oz / 600ml Sports Bottle - straight-wall design with ergonomic finger grips and tethered lid. Ships assembled with Tethered Lid. Molded with Dishwasher-safe, BPA-free Tritan ™. We are using these as a give-away for our event this year. they were just as the proof looked. The customer service department is awesome! the products look really cool. Excellent quality and imprint looks great! The colors match our logo design and everybody loves that we provided these as a giveaway. this is the second year we've purchased these for all our employees, we all LOVE THEM! They give great ideas just for teachers, and they're the perfect size. We'll continue to order these! Fun & useful.